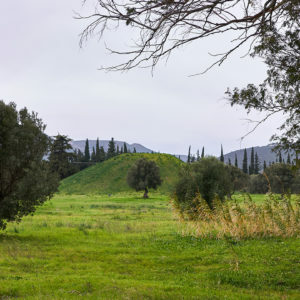 taken in the Battle of Potidaea after three years. 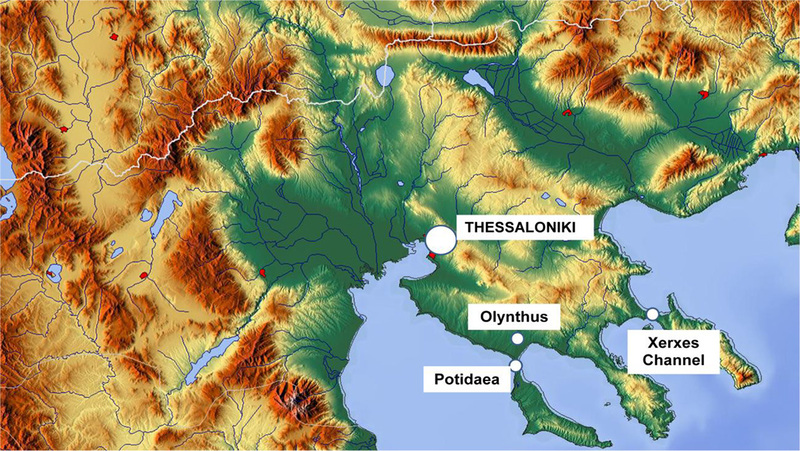 Olynthus, some 15 km north of Potidaea was an important city and Philipp II besieged it in 348 BC and he eventually gained possession of the city. The Xerxes Canal was a navigable canal through the base of the Mount Athos peninsula, near the village Nea Roda, built by king Xerxes I of Persia in 483-480 BC. It was an engineering feat, 2 km in length and 30m wide.